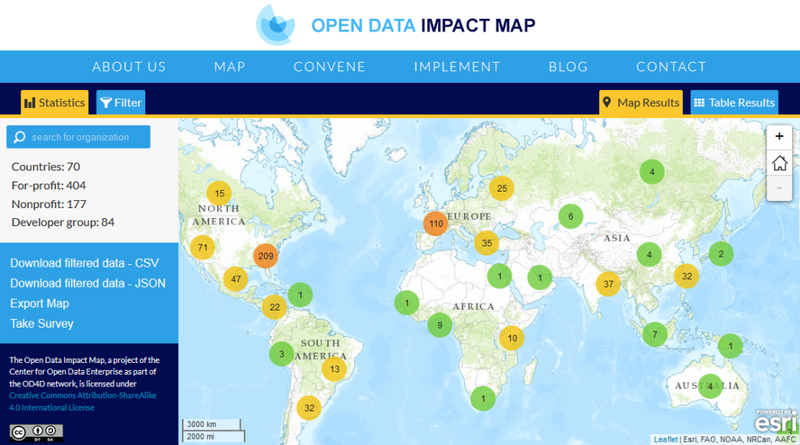 Blue Raster worked with the Center for Open Data Enterprise to build a mapping application showcasing a centralized, searchable database of organizations using open data worldwide. 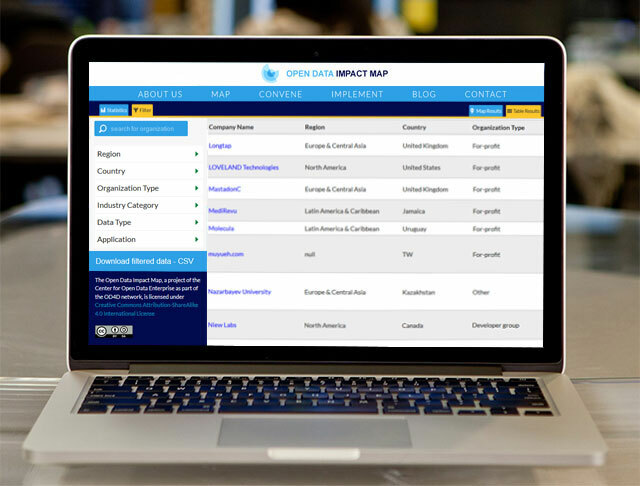 The Open Data Impact Map makes it possible to explore open data-use trends through filters and visualizations and facilitates comparative analysis by country, region, or company use of data. 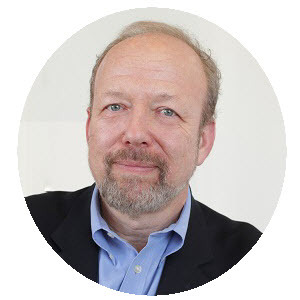 All information collected becomes publicly available as a resource for others to build on. Check out the site and see how dynamic clustering is used to visualize open data around the world.